House fires, big or small, tend to leave a big mess. The smell of smoke, damaged items and materials will all have to be removed, replaced, or cleaned. Fire cleanup is one job that is extremely difficult to tackle without the help of experienced professionals in smoke damage repair. Trying to work within a confined area that has sustained substantial smoke damage can be more than unpleasant. Many of the items used in creating furnishings and home decor contain plastics and formaldehyde. These chemicals will remain, coating the surface of everything along with soot and grime. You do not want to have contact with your skin or breathe these particles into your lungs. Your skin can become irritated, and you can begin to experience problems breathing. The overwhelming odor can make it difficult to spend more than a few minutes at a time inside the home. 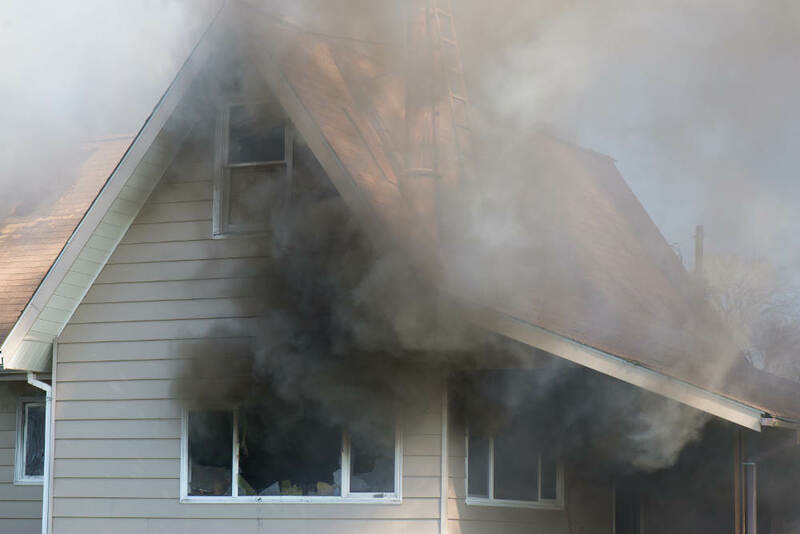 Experienced smoke damage remediation services in Los Angeles County are equipped to handle these types of situations safely. Enduring a fire, no matter how slight, will leave you shaken for an extended period. Being able to salvage items and the home is good news, but the mess and repairs needed afterward seem overwhelming. You will have to move and clean the furniture that is worth keeping. The rest will have to be taken outside for trash pick-up. You will most likely have to pull up carpeting, carpet padding and all of this is labor-intensive work. There are services in the Los Angeles, San Bernardino, Riverside, and Orange County areas that will help with this as soon as it is safe to enter the building. It is shocking to find out how far the smoke from a small fire infiltrates the deepest recesses of the home. Without adequate knowledge of deep cleansing and repairs, the lingering smell of smoke will remain. You want to make sure that the structure is left in as good a shape as it was before the fire. Complete removal of odors from smoke damage requires the use of specialized equipment. Spending large amounts of money to rent or purchase equipment for one-time use is a waste of funds. It is more cost-effective to hire a Los Angeles and Orange County smoke damage repair service to handle the details. All of the equipment and knowledge necessary will be provided to guarantee the desired positive results. Call for smoke damage remediation and repair experts like Tri Span to get your home back to normal. You can count on quick, reliable service in Los Angeles County and the surrounding areas.